A thoracic disc protrusion or herniation describes the process where the softer inner part of the intervertebral disc (nucleus pulposus) has ruptured through the harder outer part of the disc (annulus fibrosis). Thoracic disc herniations and protrusions are not as common as those in the neck or low back, and this is due to the fact that there is more movement and additional loading forces in the neck and low back. Thoracic disc protrusions can result from trauma, motor vehicle accidents, sports injuries and ongoing occupational stresses such as poor sitting posture. How do you get a thoracic disc protrusion? A small tear in the annulus fibrosis of the thoracic disc occurs in response to, for example, heavy lifting with poor technique. This causes a change in biochemistry (cell interaction) of the nucleus pulposus leading to an autoimmune response in which the body fights itself sending cells to the site of injury that promote inflammation. The nucleus’ ability to hold water is then reduced, which hinders its ability to provide shock absorption and accelerates progressive degenerative changes. Surrounding muscles will often go into spasm acting as a natural brace or splint to reduce potentially harmful movements. This decreases disc movement, which also decreases the ability of nutrients to flush through the disc, which further perpetuates degeneration. With time, the body will repair the damaged tissues and in some circumstances, the patient may be left with some minor disc derangement and poor muscle function, which predisposes them to further injury. If conditions do not fully resolve, there is an increased chance of the thoracic disc favouring flexion and with repetitive loading of the annulus fibrosis at end range will lead to further micro-trauma and disc derangement causing a disc ‘bulge’. Nucleus pulposus fragments (suspended fibres) become ‘blocked’ and tears through the outer fibres of the disc can pursue. This further reduces extension movement and increases local inflammatory processes, leading to disc degeneration. At this point, there is potential for the inner disc material to push through the outer fibres, causing a thoracic disc protrusion, which irritates the adjacent spinal nerve root (a section of nerve that comes off the spinal nerve and provides motor and sensory information to the limbs). Signs and symptoms of nerve root involvement such as burning and travelling pain, muscle weakness and numbness can occur. This is referred to as ‘sciatica’ (radiculopathy). There is potential for this to develop into compression of the spinal nerve (spinal stenosis). There are varying degrees of disc protrusion severity. With age, spinal discs loose their ability to retain water and there is further decline in mechanical ability of the nucleus pulposus and reduced mobility in joints and muscles, which degrades components of the spinal disc. This further perpetuates the degenerative cascade and risk of thoracic disc protrusion and re-injury. Disc protrusions in the thoracic spine are not as common as those in the neck (cervical spine) and the low back (lumbar spine). Disc protrusions are typically painful, made worse by sitting, coughing, sneezing and anything that increases intradiscal pressure (pressure in the disc). If the inner substance of the disc is no longer contained in the outer layers of the disc, an inflammatory response is activated and this creates local pain. 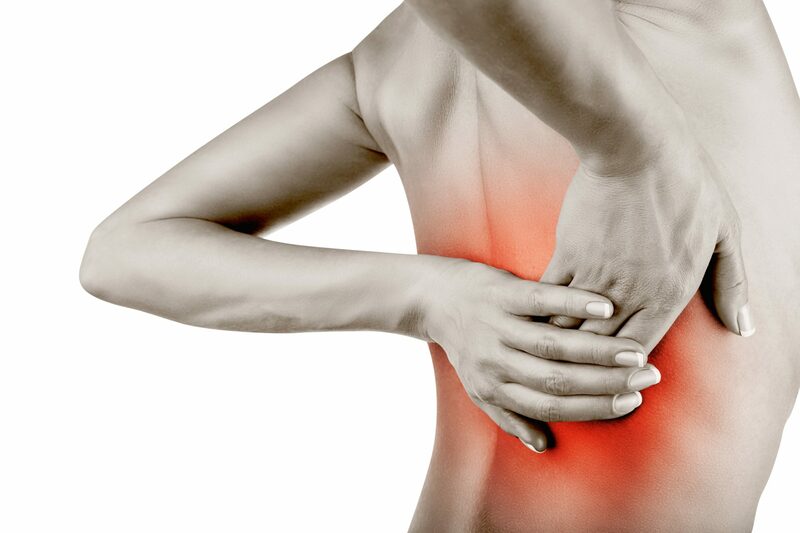 As the inflammation and contents of the disc hit the spinal nerves or spinal cord and compress them, symptoms such as pain, tingling, muscle weakness and loss of function of the nerve are possible. This is not common in the thoracic spine (mid back, upper back). Unload the affected intervertebral disc(s) and improve spinal mobility by encouraging self-management with specific, directionally-favoured spinal movements (McKenzie Method) and reducing risk factors, such as prolonged sitting and poor posture. Reduce inflammation in the joints and other tissues and reduce spasm or tension in surrounding muscles by implementing P.O.L.I.C.E protocol, or heat therapy, therapeutic ultrasound and recommended use of anti-inflammatory medication. Strengthen and condition surrounding musculature and return to usual activity and sports once pain is managed with a focus on patient functional improvement and self-management.